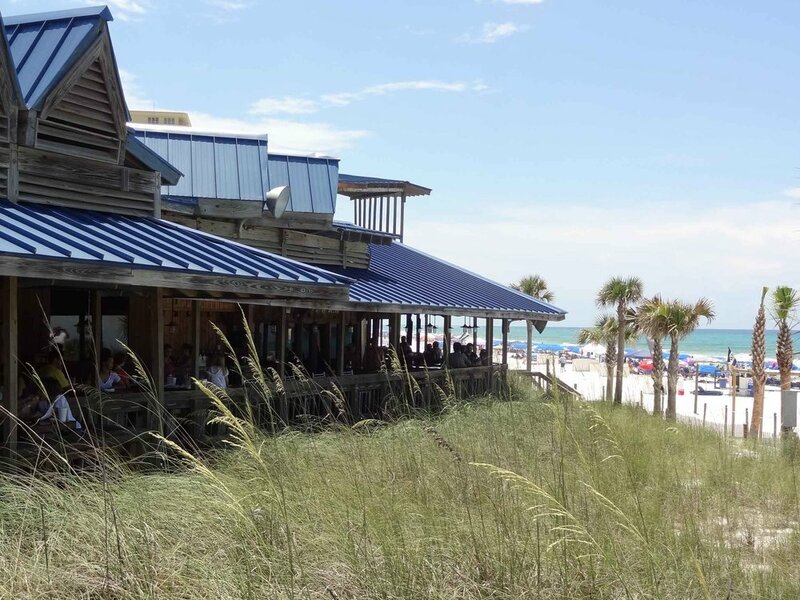 Spinnaker Beach Club and Paradise Grill is a Florida beach bar located in Panama City Beach. Discover this great Florida beach bar. Unique Feature: Location of a couple of Luke Bryan's country music videos. 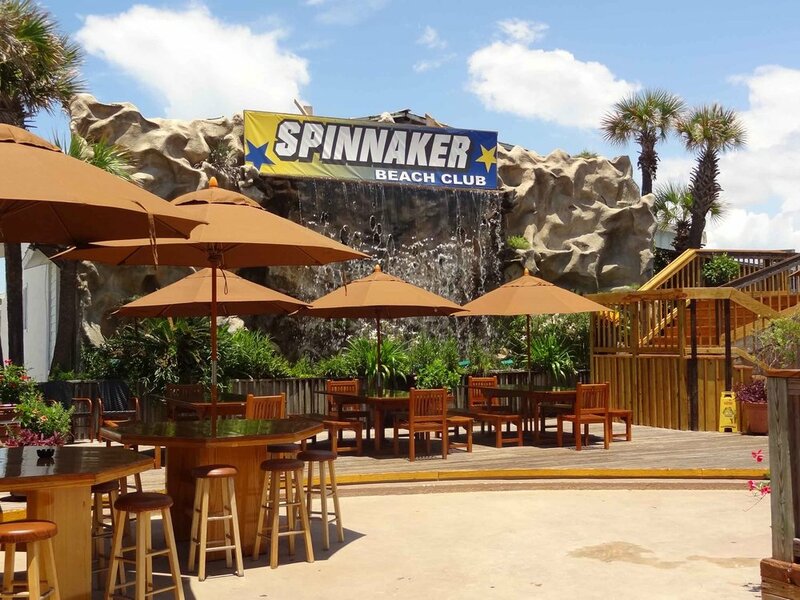 Spinnaker's Beach Club is located right on the beach in Panama City Beach. The bar area is big and beautiful. This Florida beach bar even has a waterfall. This Florida beach bar has been around for over 40 years. Spinnaker's is the bar and Paradise Grill is where you go for the food. The restaurant is also beachside and attractive. You can order adult beverages at the restaurant, of course. But it is at the Spinnaker Beach Club where you will find fun bartenders and patrons. It is at the Spinnaker Beach Club that you will hear the great live music and be able to dance the night away. There are even different levels to this bar. In fact, on Friday and Saturday nights you can find live entertainment at this Florida beach bar until 4:00 AM. On any given night you can find live music at this great beachside bar. Or you might find Karaoke, DJ's or dinner music. This Florida beach bar has it all. That's why we love it. You will find everything you could possibly want at Spinnaker Beach Club. They make the claim at Spinnaker's that they have the best burger you can find anywhere. Spinnaker's has hosted lots of national talent throughout the years. To name a few, Jimmy Buffett, Foreigner, Kenny Chesney, and Eric Church. Luke Bryan has shot 2 videos at Spinnaker. Check their web site calendar to determine which band is playing and at which bar. Spinnaker has several named bar areas and each offers a little something different. Go with the flow and head towards the music.